The trip Mt. Rigi is interesting and full of variety. First a comfortable boat ride to Vitznau, then board Europe's first cogwheel train which takes you in 30 minutes time to the summit of Rigi Kulm at 5900 feet. Enjoy the beautiful view into the Alps and over the lake district. 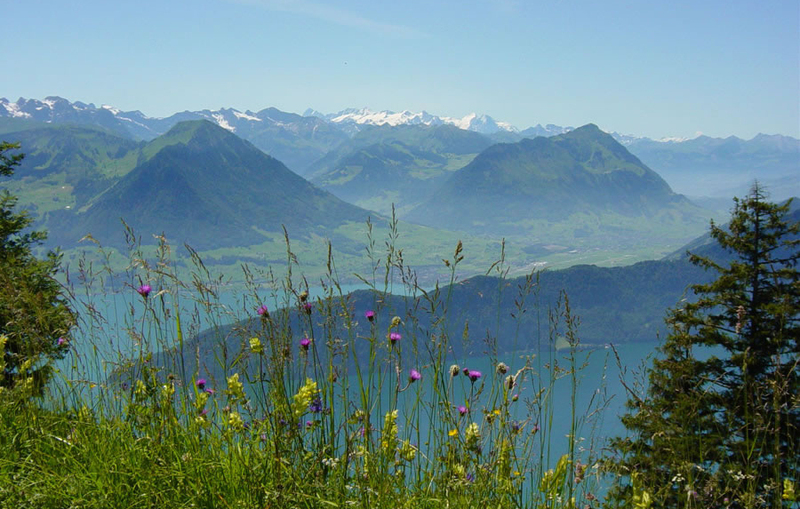 Optional: one hour hike to Rigi Kaltbad. Here you take the panoramic aerial cable car to the well-known vacation resort Weggis. A relaxing boat ride brings you back to Lucerne.